KINGSTON, Ont. / Dec. 5, 2018 – The latest book by Kingston native Therese Greenwood includes several locally set stories for the Christmas season, including one nominated for Canada’s top mystery-writing honour. “A Christmas Bauble,” set in Prohibition-era Kingston, was nominated for the Arthur Ellis Award for Best Short Story after its initial appearance in The Kingston Whig-Standard. In “A Christmas Bauble,” Greenwood imagines a local reporter, a jewelry store owner, and a flapper who find their Christmas Eve interrupted by an extraordinary event. Another local Christmas story in the collection, “Marley Was Dead,” imagines a modern-day volunteer fire department trying to solve a crime on the day of the Santa Claus parade. The stories are among the 14 mysteries, most set in and around the Kingston area, published in Greenwood’s collection Kill As You Go, a 2018 release by Calgary-based Coffin Hop Press. Greenwood’s newest Christmas story “The Power Man” is set on Wolfe Island in the 1920s. It is also being published this month in a second book, the new holiday collection Baby It’s Cold Outside, at www.coffinhop.com. 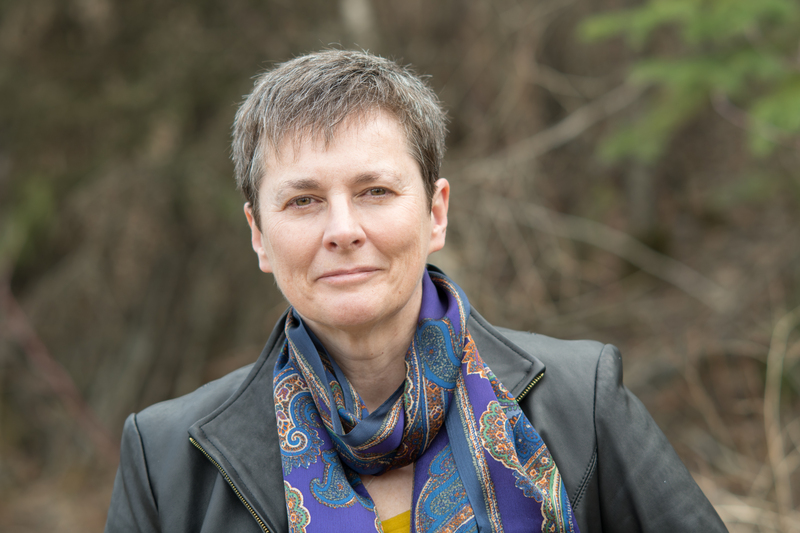 Called “a master storyteller” and “a pure Canadian voice” for her short crime fiction, Greenwood’s collection was launched earlier this year at Alberta’s Words Collide Festival. The 14 mystery stories in Kill As You Go present an intimate portrait of small-town Canada. Setting is destiny for the characters who amble through Greenwood’s fiction, whether they are Prohibition bootleggers in a Canadian border town, a B-movie cowboy at the Calgary Stampede, Catholic nuns on a begging tour in 18th century Ontario, or a Fort McMurray bylaw officer with a barking dog complaint on the morning of a wildfire. Greenwood grew up on Wolfe Island, Ontario, the largest of the Thousand Islands, and that region also forms the backdrop for much of her work. Her short fiction has appeared across Canada and in the U.S. in such publications as the Crime Writers of Canada’s Over The Edge anthology and Ellery Queen Mystery Magazine. She has twice been short-listed for the Arthur Ellis Award, Canada’s top mystery writing prize, and has co-edited two short crime fiction anthologies. For more information, visit her online at www.therese.ca and @WolfeIslander on Facebook and Twitter. 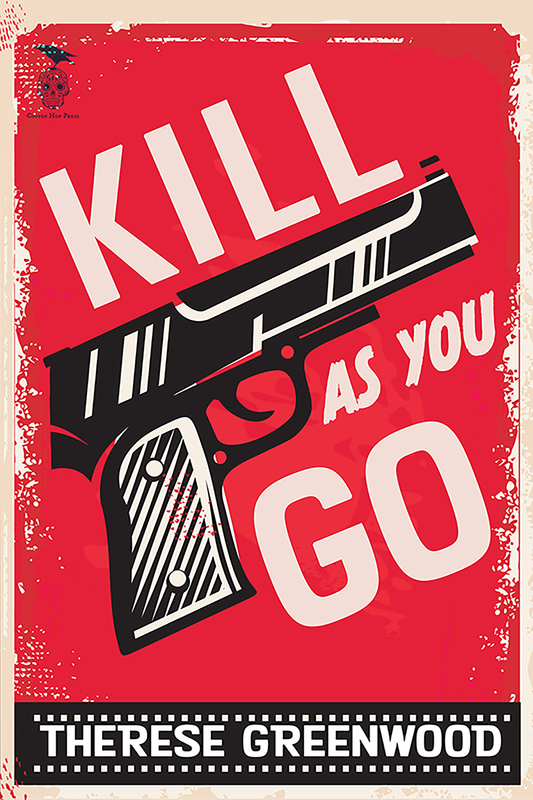 Kill As You Go is available in print and e-book formats at www.coffinhop.com and on Amazon.ca.